When you can take credit or debit payments by machine from your clients you will see a concurrent drop in cash transactions. This means that you will have less in your till, and theft will thus have smaller financial consequences. In addition, you will need to take fewer trips to a safe or to the bank, adding to your security. With a card machine transaction you no longer have to wait for clients to pull out currency, deal with making change or have them put items back when they realise they do not have enough cash. All of this helps to speed up your average transaction time, leading to a better experience for your clients and more efficiency. With contactless technology, purchases under £20 now no longer need the PIN to be entered, leading to even quicker check-outs. Most customers are now very used to paying via a credit card machine, especially those large purchases for which they would not want to carry around a significant sum of money. When you are unable to take such payments you may find that customers choose another store over yours. Even when they come in to your small business and find something they wish to purchase, if they do not have enough money they have to leave in order to get it. This decimates impulse purchases and may lead clients wandering to another shop or simply forgetting to come back. 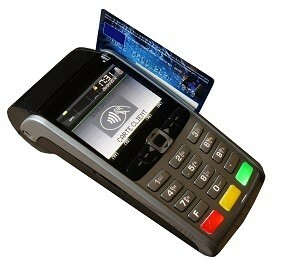 If you ever visit your customers outside of your premises you may benefit from a portable card reader. This can cut down on your call-out time as you no longer have to wait for your client to visit a cash machine and allow you to sell new products or services, taking payment on the spot. A card machine for a small business can be used for more than just taking payments. Some providers allow you to use them to track gift and loyalty vouchers; this enables you to provide these perks and services to your customers.